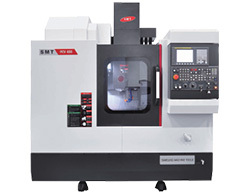 SMEC vertical milling machines are the best value in the industry. 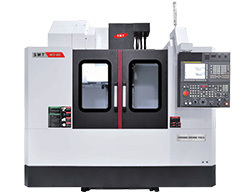 Each milling machine is competitively priced and come with an exceptional quality build along with all the options needed to give them a competitive edge in the marketplace. 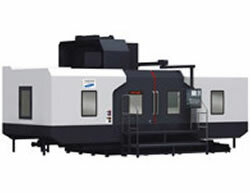 Please visit www.esmec.com or contact Ironclad Machinery for more information and pricing. SMEC mills feature Fanuc drives, motors, and control. Fanuc is one of the most widely known controls/motors in the industry among users, cam developers, and builders. SMEC mills also use the same high end components used in Japanese and German manufactured mills, including THK Cross Roller Guides. 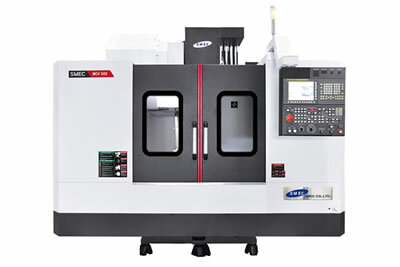 Another standard feature on all SMEC vertical milling centers is the Big Plus Spindle, and benefits can be found here. High speed rapids and lightening-fast tool change times are part of every SMEC mill. Plus, you also get through-spindle coolant STANDARD and better chip evacuation for longer tool life!